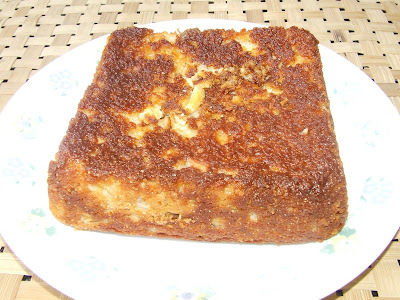 Chhena Poda is a sweet dish from Odisha. It is offered to Lord Jagannath. 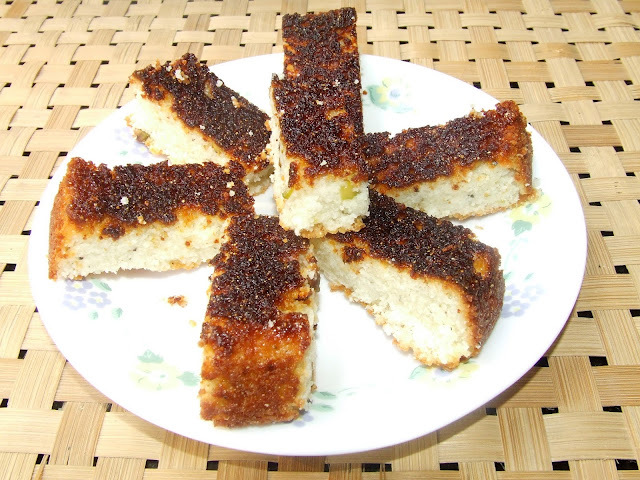 Chhena Poda is made from home made cottage cheese. 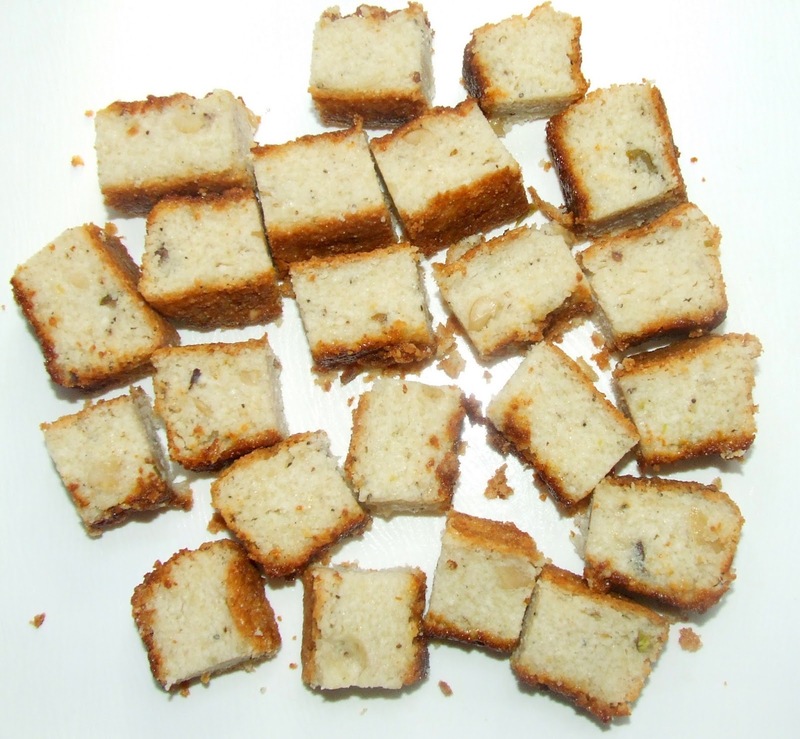 Cottage cheese is mixed with semolina and kneaded. 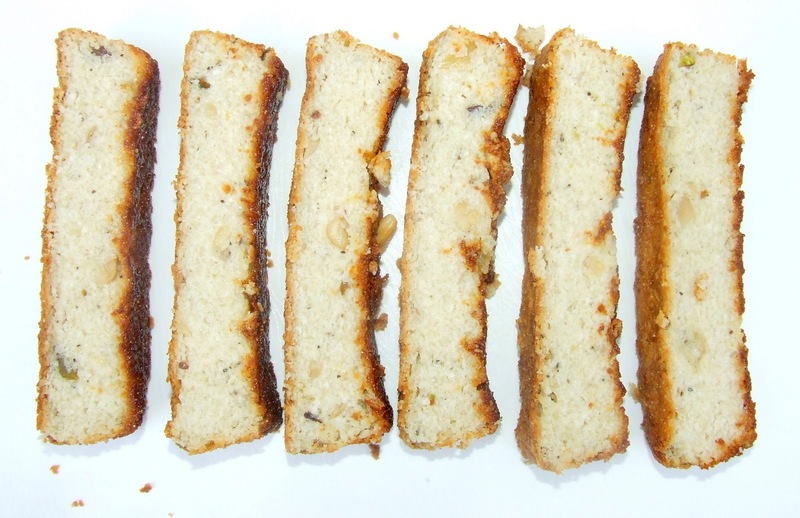 It is flavoured with cardamom and some dry fruits are added. It is baked in a container coated with caramelized sugar. The dish is simply divine! When I first saw this simple and easy to make sweet in a blog, I was fascinated by it and I got down making it that very day. I followed the recipe meticulously. 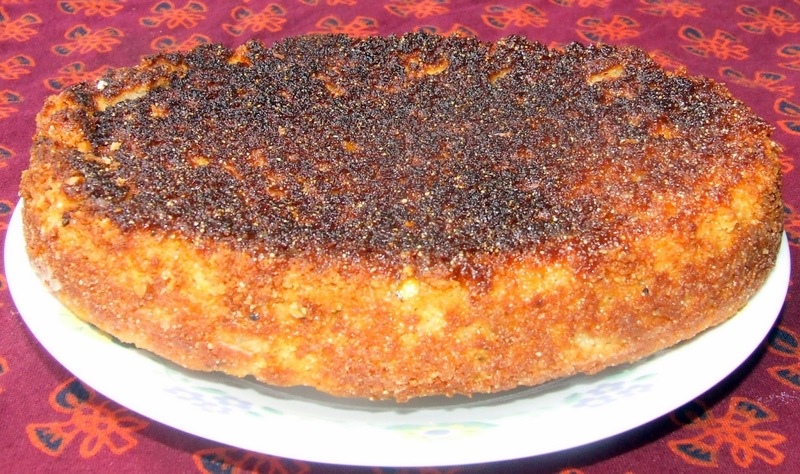 Chhena poda rose well, baked beautiful brown and when the oven timer went off, it sank. So did my heart. Some ingredient was not in right proportion. I felt that the quantity of semolina had to be more. My first Chhena Poda was crumbly. It just fell out from the container. However, the taste was just out of the world. I had to get the proportions right. I went through a lot of chhena poda recipes and found each a little different from the other. I deduced that semolina binds the dough and has to be a little more in quantity than I had used the last time. Also, the dough should be made to rest for sometime. 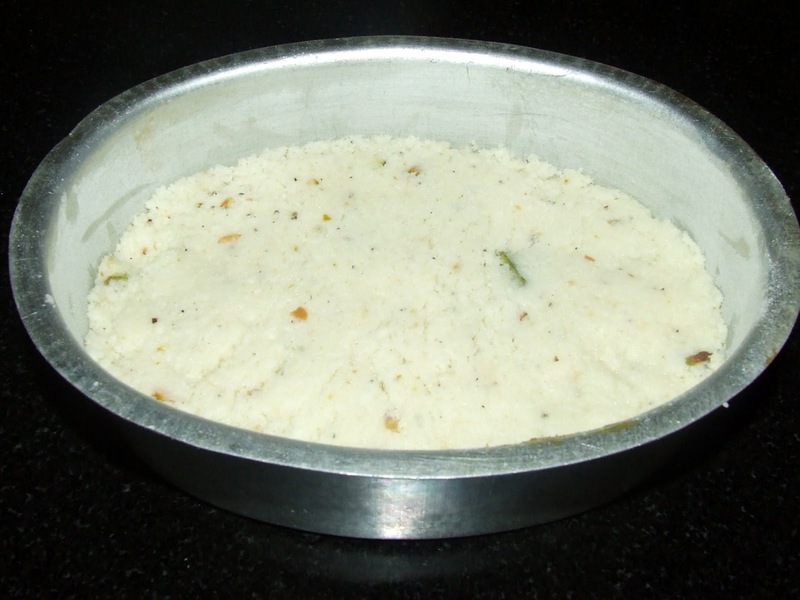 During this time semolina absorbs water from mashed cottage cheese and swells up. 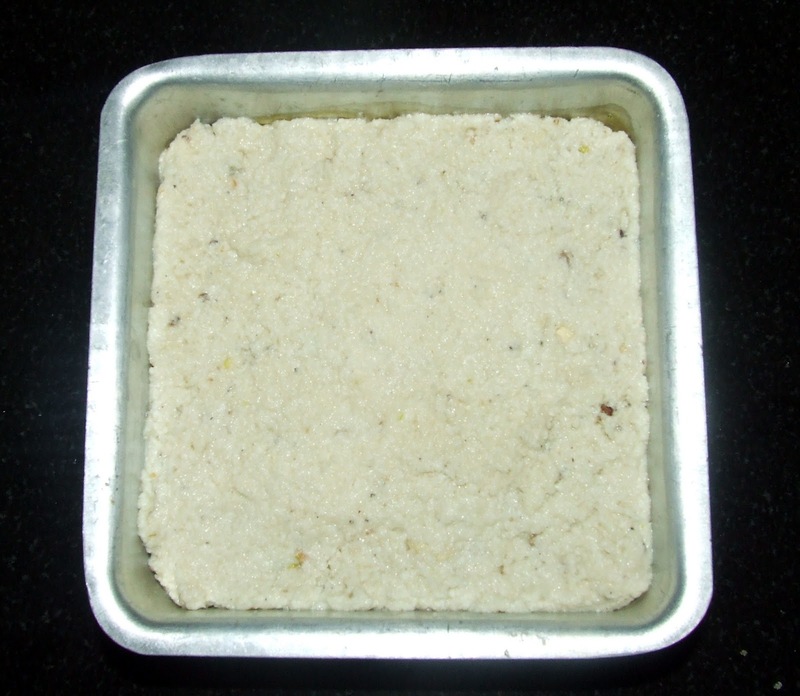 This mixture kneads well and Chhena Poda is also softer. 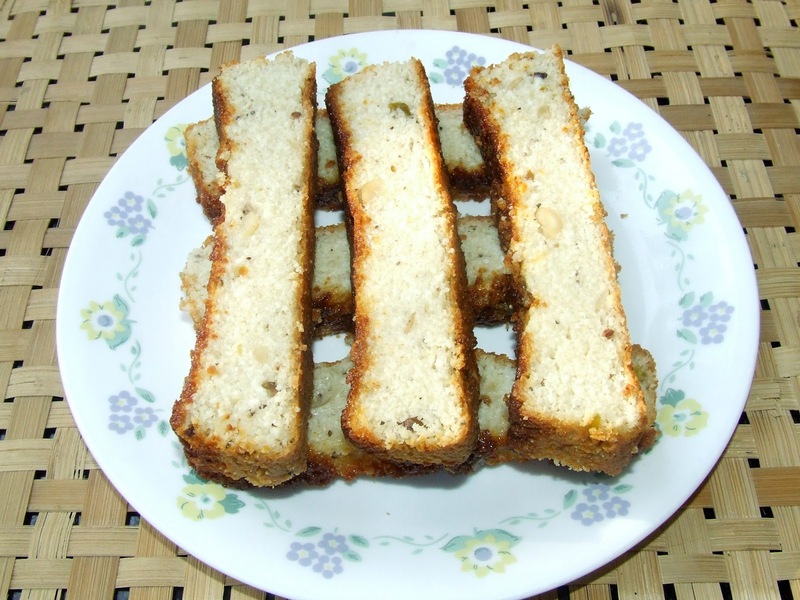 I made Chhena Poda twice with this recipe. Boil the milk. Reduce the heat. Add lemon juice to the boiled milk. Stir. The milk will curdle. Boil for a minute. Turn off the heat. Put the curdled milk in a muslin cloth. Drain out the water. Place the muslin bag with cottage cheese under the running tap. This will remove the sour whey. Squeeze out the water. Hang the muslin cloth for 15 minutes. Transfer the cottage cheese to a plate. Mash well with hands till smooth. Add powdered sugar. Mix well. If the mixture feels too dry, add a teaspoon of milk. Add semolina. Mix well. Cover and leave for 15 minutes. In the mean time, take two tablespoons sugar in the baking tin, hold it over the flame. Turn off the heat when the sugar just begins to caramelize. Tilt the pan so that it spreads all over the base and sides evenly. Leave it to cool. Knead the cottage cheese mixture again. Add powdered cardamom, raisins and cashews. Add baking powder. Mix well. Put the mixture in the baking pan. Level the top. Bake in the preheated oven at 180 degrees C for 55 minutes or till the top turns brown and a toothpick inserted in the center comes out clean. Run a knife through the sides and invert it on the rack immediately. If delayed, the sugar in the base of the pan becomes hard and chhena poda sticks to the bottom. Fourth time I made Chhena Poda again. This time I made cottage cheese our way. I used curd to curdle milk. This yields softer and greater quantity of cottage cheese. I added two tablespoons of semolina per cup of cottage cheese. The result was soft flavourful caramelized chhena Poda which all of us enjoyed! Add curd and stir till the milk curdles and green whey separates. Turn off the heat after two minutes. Put the curdled milk in the muslin cloth and squeeze out excess water. Hang the muslin bag for fifteen minutes. The cottage cheese is ready for use. Method for making chhena poda same as above. Looks so good! Sounds a bit similar to the cottage cheese bake that we make. Awesome job...looks stunning and inviting. Looks yummy! I adore this sweet. Quite an interesting recipe!! You surely loved it to give so many trials. Wow I love to have it..
Hello Linda, I used 7x7 inch square cake pan.